This week we got to draw on the app. French Girls. 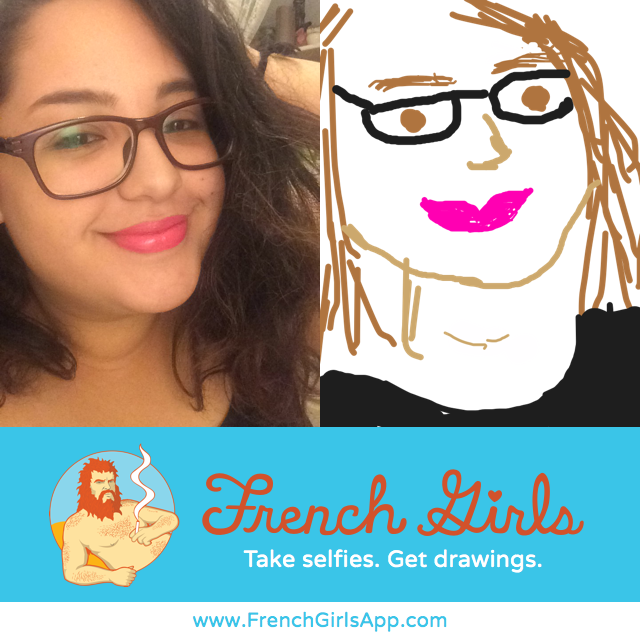 I was surprised by how awesome of an app French Girls is! 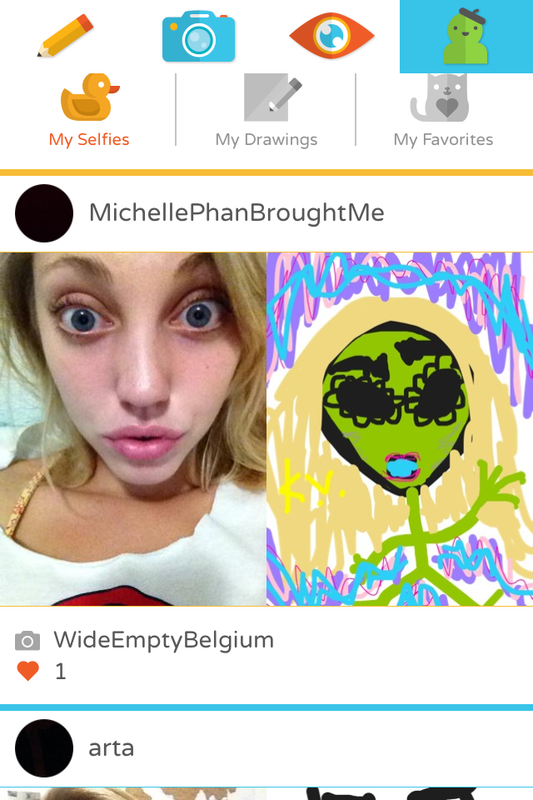 People post selfies and then other people draw them. What a great idea! The app. showcases all of the best drawings which was interesting to look at. Some of the drawings are incredible! It was the perfect way to get inspiration. 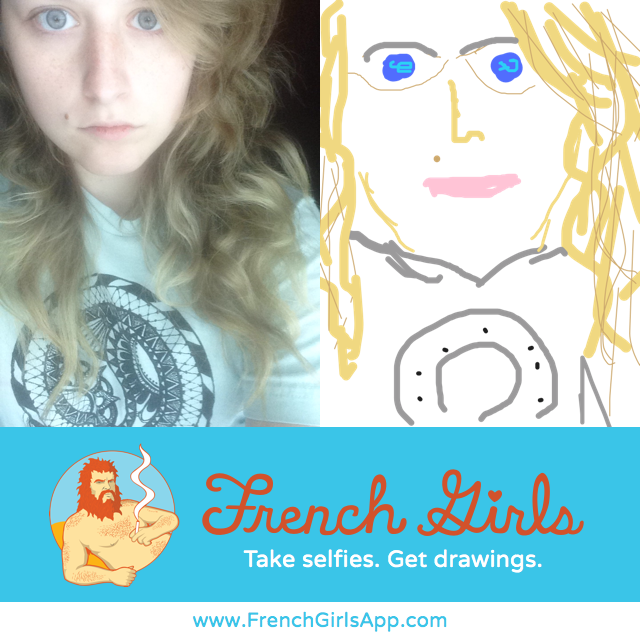 I love drawing but was somewhat unsatisfied by my drawings that I did on French Girls. Having to draw on the small screen of my iphone was really difficult. I hope that I can try it on an ipad sometime which might make it a little easier. I would have rather drawn the selfies on paper so that I could use more detail and precision. Although it was difficult, I really did enjoy doing it! I had to just not focus so much on how it actually looked. It was a cool experience playing with technology and being able to erase so easily! 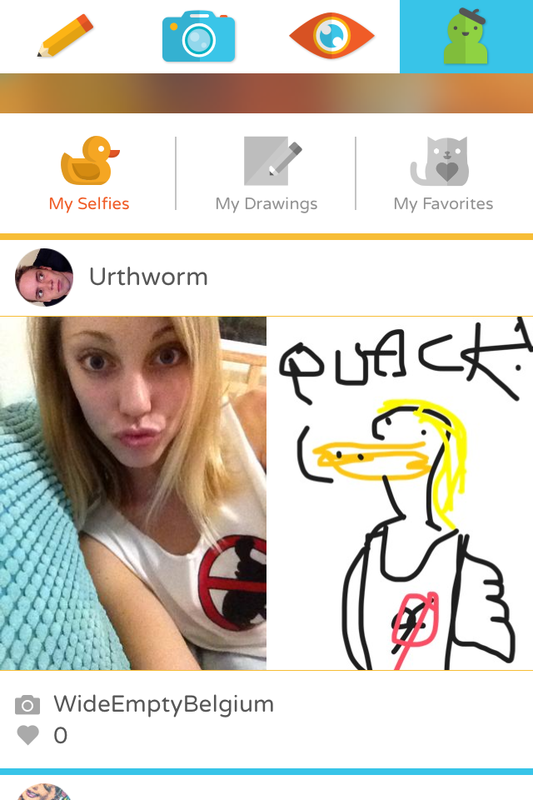 Having people return your selfies with drawings is exciting. I loved seeing the responses that I got. Some were comical and some were actually well done. When I was drawing I drew people cartoonish. Some people draw like an extension of the selfie which is interesting too! A few of the pictures returned to me were like this. Overall this project was an awesome experiment with a new type of drawing. I am glad that we did it and I now know a little more about different types of drawing. Posted in UncategorizedTagged #art110, FrenchGirlsBookmark the permalink.